Do you have a project or new business idea and need design? Don't have enough time to create a design yourself? Or are you totally not computer savy at all? Then you are at the right place and worry no more. Dodos Design has a professional, creative, friendly, hard working design team that will be happy to assist you. Dodos Design takes pride in what they do and can develope your project from an idea to a finished product. We always give recommendations, however we never loose sight that you have the final say on your look and feel of your project. We have a collaborative style that combines both your ideas and our experience to produce a design that speaks directly to your targeted audience. Dodos Design believes in high quality production values, because positive images of a brand enhance its competitive edge. So lets get started. 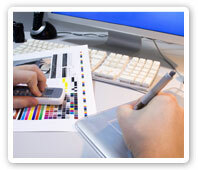 Contact us for a free, initial consultation or request a quote for your web site design and or graphic art projects. First time customers get 15% off their order or Free business card design with purchase of a logo design package. - Must mention web offer.